Yardage - Whole Yards Only Note ! If you need more than the 16 Yards we currently have in stock, please make a different selection as additional yardage is not available. In stock yardage is typically shipped within 2 business days. 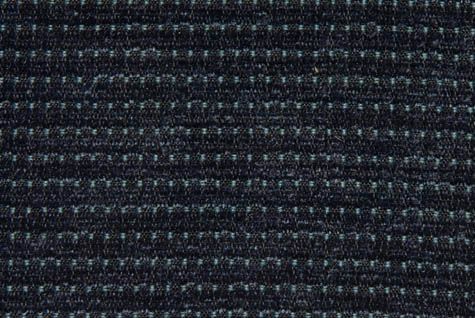 Tremont Midnight Blue is a woven, ribbed chenille plain design in a dynamic Navy. It will work wonderfully as a coordinate for other woven designs, prints and leather. The rib measures approximately one quarter inch and with its great durability this fabric will work well in today's fast paced lifestyle. Tremont is suitable for drapery, curtains, cornice boards, pillows, cushions, bedding, headboards and furniture upholstery.